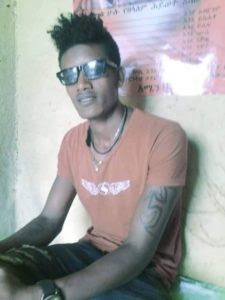 Unknown assailants on Tuesday killed two members of the Agazi army, a Special Force of the Ethiopian regime, in a grenade attack in the town of Nekemte, Western Ethiopia, Oromo region, where uprising against the tyrannical regime has been going on for well over nine months. A source told ESAT on the phone that the Agazi forces, in retaliation, shot and killed three summer students of the Wollega University on the same night. One soldier was also injured in the grenade attack. The Agazi forces have, in the last nine months, used lethal force against protesters in the Oromo and Amhara regions of Ethiopia who have been demanding the removal of the oligarchy. The protest in the Oromo region was joined last month by the people in the Amhara region where over 100 people were killed in just one weekend of protests. The source, who wish to remain anonymous for fear of reprisal, said the grenade attack was carried out at a government office in Kebele 07, a lower local administration. He said the people in the area were irate over the daily harassment by the Agazi forces. The residents have been demanding the Agazi forces stop the killings and leave their town. The bodies of the three students were sent to their hometown, Horo Gudru for burials. Residents of Nekemte have begun a weeklong strike, as part of a general strike in the Oromo region and businesses, transportation and government offices have been shut down despite stern warning by the authorities. Thousands of the Agazi forces have been deployed to the Oromo region following the start of the protests nine months ago and the region has literally been under a military administration for some months now. The regime last week moved massive army and armored vehicles to the Amhara region where normalcy has not been seen for the last two months. Rights groups and local Oromo opposition groups estimate over 800 people have been killed by the Agazi forces in the Oromo region alone. Tens of thousands have been put behind bars in the last nine months. There has been unrelenting uprising in the Amhara and Oromo region against the TPLF oligarchy that controls the politics, economy and resources of the country alienating the Ethiopian people.